The dangers of LPG was a topic me and my friend discussed a few days back. He advised me not to convert my car to LPG or propane because of the risk of exploding. As someone who doesn’t know much about cars, I immediately believed him. And he was right! 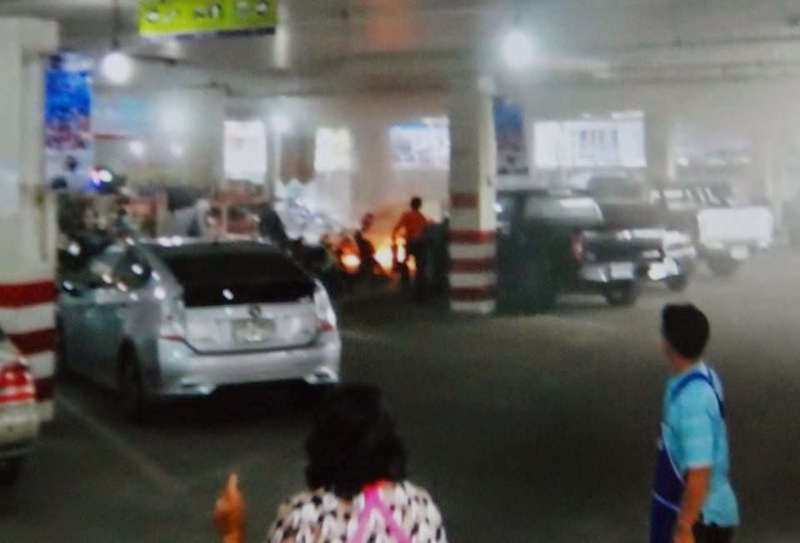 A car with an LPG gas system exploded yesterday at Topland Plaza shopping mall in Phitsanulok. The owner, together with his wife and daughter were inside the mall buying a tablet. Suriya couldn’t think of a reason why his car exploded. He said he parked it properly and turned off the engine. Witnesses said the car exploded several times. Firefighters and rescue volunteers were deployed to control the situation.